On 4 November 1981, a visiting Marine pilot flying an RF-4B made his first catapult launch in a Phantom, which required a bit of finesse with the stick. 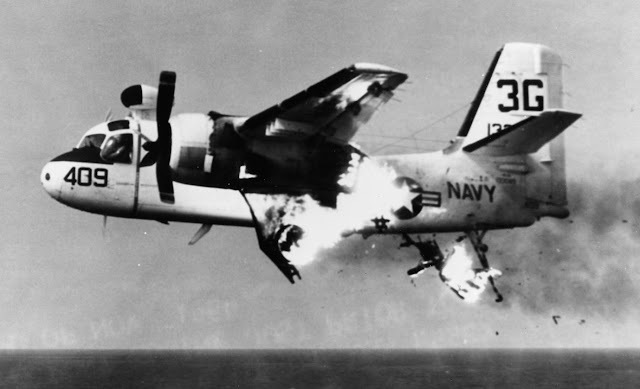 At the time, the technique was to use full aft stick when the catapult fired and then ease it forward to keep from over rotating. Obviously his timing and/or final stick position was off because the pitch attitude reached about 60 degrees as shown in the picture. Fortunately, the Phantom was light (internal fuel only) and the engines in afterburner. 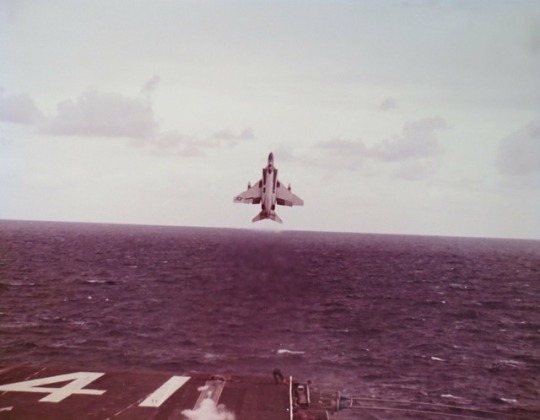 Since pitch control was not very effective at low speed (the reason for starting with full aft stick), he elected to lower the nose to the horizon with rudder (think hammerhead turn) and then roll out. I surprised that the guy in the backseat stayed with him but the unusual attitude recovery was successful and they continued back to their base in Japan as planned. I've been perfecting my latest and very likely last monograph/book for almost as long as my first, U.S. Naval Air Superiority. At some point, however, you have to either declare victory or surrender if the material is to be shared with those of a similar interest. That time has come for me. Birth of a Legend will be published by Ginter Books (http://www.ginterbooks.com/NAVAL/NF108.htm) and should be shipping in mid-December, just in time for Christmas. As the title suggests, Legend is limited, so to speak, to a detailed history of the genesis, design, development, and initial training squadron use of the F4H-1. It is soft-cover, 8 1/2 by 11 inch, and 184 pages (more than 20 in color). It includes at least one picture of each of the first 47 F4H-1s, at least two of which were very hard to come by, as well as a summary history of each one from its first flight to the circumstances of its withdrawal from service. A description of each of the flights that resulted in records and two that tragically didn't is included. As is customary in aircraft development programs, changes had to be made as a result of both problem resolution and mission "creep". This is described with numerous illustrations and a configuration summary. A summary of the differences between the 47th F-4A (the redesignation of the first 47 F4H-1/F4H-1Fs) and the 1st F-4B is also provided, with two, the engine inlet and the inflight refueling probe, covered in detail. Like most Ginter monographs, there is a short modelers section that lists the few kits and conversions that are available for the early Phantom IIs. However, the detail provided in this one will be essential to creating an accurate model of one of the first 47. 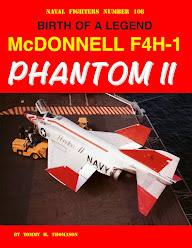 However well you know the F-4, I'm sure that you will find information within these pages that you did not know or were misinformed about and pictures that you have not seen before. 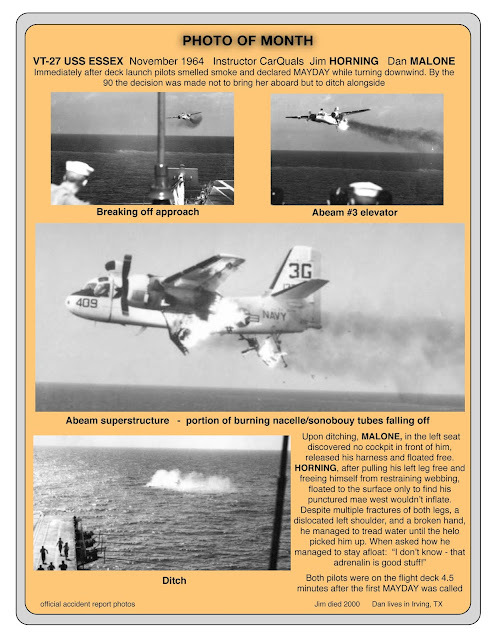 Peter Greengrass, my go-to guy for F4H Phantom stuff, provided some additional information about this incident and another photo. This picture of an F4H about to fly under the Golden Gate Bridge appears from time to time, rarely with the explanation. The comments usually include statements that it is a fake, imaginative explanations as to why the landing gear is down, the pilot was grounded thereafter forever, etc. The fact that the footage of this launch is not in the documentary is easily explained by the Navy's unwillingness to appear to condone stupid stunts like flying under bridges, which in any other circumstance would have the pilot's wings removed immediately after landing, assuming that he hadn't screwed up, crashed, and died. The picture above was presumably taken by a member of the public from Vista Point or a boat. 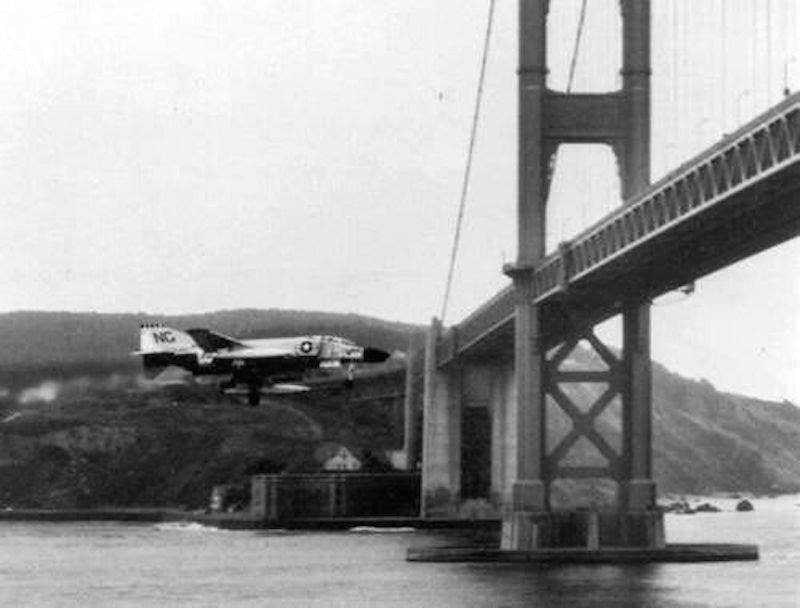 The plan on 19 October 1962 was for XO Ken Stecker of VF-96, The Fighting Falcons, and another pilot in a second F-4 to be launched well before reaching the bridge after the ship departed NAS Alameda. 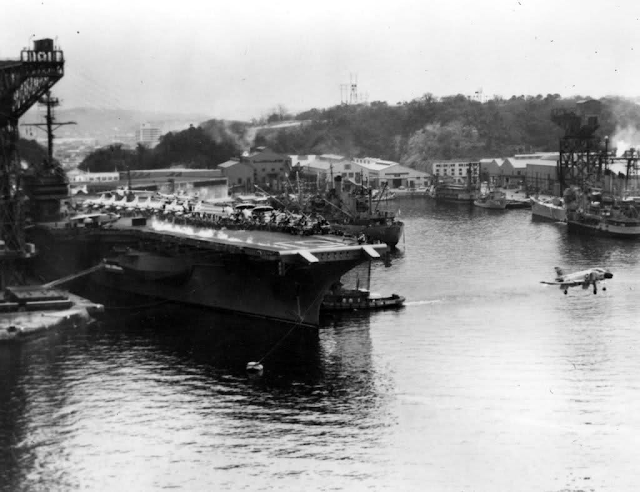 However, the launch was momentarily delayed (the launch officer was reportedly E. Inman "Hoagy" Carmichael who retired as an admiral, so obviously his career wasn't adversely affected either). When it did occur, Stecker decided that going under the bridge was a better option than trying to climb over it. That was not overly challenging because there is at least 220 feet between the bridge and the water. Stecker subsequently became CO of VF-96. 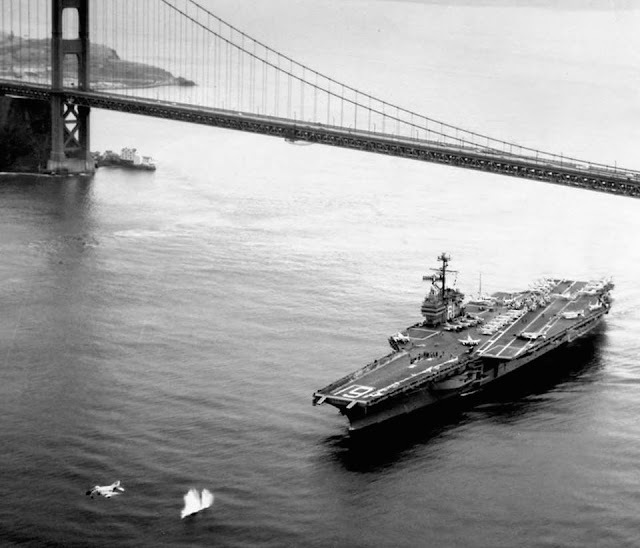 The other pilot was launched just after the carrier passed under the bridge, as documented by this photo taken from a helicopter. The splash is from the bridle used to launch the jet. It was normally retained (that's what the "plank" protruding ahead of the deck in front of each catapult track was for) and reused, but it was limited to a specific number of launches and it was often simply expended when it was one launch short of the limit if it had lasted that long without incurring visual damage. Was the Navy's F-111 Really That Bad? It was with some trepidation that I awaited the subject article by Robert Bernier in the September 2018 issue of Air&Space Smithsonian. I thought it likely that it would be yet another ill-informed and derogatory recounting of the shortcomings of the Sea P*g. It turned out to be accurate and even-handed in my opinion. There were a couple of things to quibble with at first reading: an editor couldn't resist a snarky subtitle: "Pentagon leaders insisted that an Air Force fighter-bomber would make a great Navy interceptor: They should have asked the Navy"; and I think it's dubious that the side-by-seating was one of the Navy's "demands". However, Bernier also came up with a couple of complimentary F-111B anecdotes that I hadn't read before from individuals with first-hand experience with the airplane, which more than makes up for them and any others. Every once in a while, a picture of a Grumman TS-2A (S2F-1T) with the port-engine propeller feathered and the engine nacelle engulfed in flame gets posted with a request for more information, which is rarely forthcoming. The latest aircraft reference book from E.R. 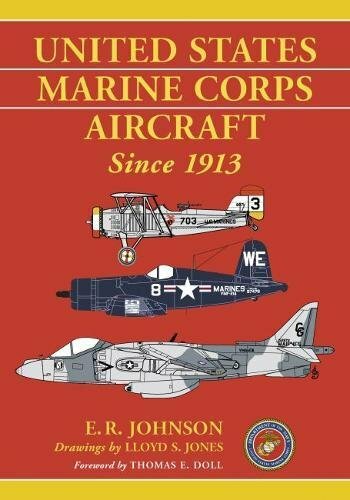 Johnson is United States Marine Corps Aircraft Since 1913, published by McFarland. The breadth and depth of its content will be familiar to you if you have seen the author's American Military Training Aircraft: Fixed and Rotary-Wing Trainers Since 1916 (see https://thanlont.blogspot.com/2015/05/american-military-training-aircraft.html), American Military Transport Aircraft since 1925 (see http://thanlont.blogspot.com/2013/04/american-military-transport-aircraft.html), or United States Naval Aviation, 1919-1941 (see http://thanlont.blogspot.com/2011/06/united-states-naval-aviation-1919-1941.html). In this case, it is a 7" x 10" soft-cover 580-page book that is encyclopedic in coverage. 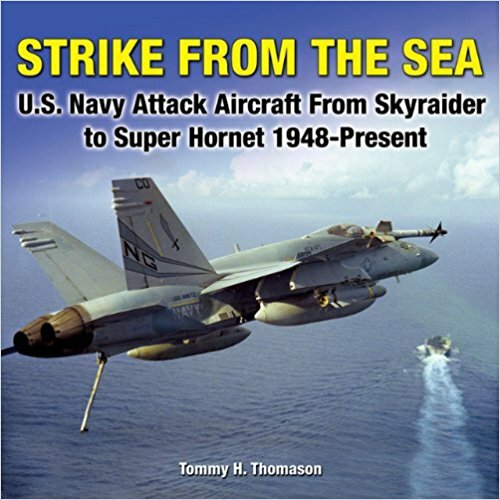 One of the benefits of having this book in your library is that it not only replaces but also updates some classic USMC references such William T. Larking's U.S. Marine Corps Aircraft, 1914-1959. While the only color provided is on the front cover, the reproduction quality of the more than 500 gray-scale photos is more than adequate for a book of this type. Consistent with Johnson's past practice, the photo captions add value, providing useful information. The text begins with a relatively short history of U.S. Marine Corps aviation followed by three very lengthy sections describing, in turn, Fixed-Wing Tactical Aircraft; Fixed-Wing Transport, Trainer and Utility Aircraft; and Rotary-Wing Aircraft. If Johnson missed describing (specification, summary description, usage, Lloyd S. Jones multi-view drawing) any one of these, it would be very obscure indeed. Coverage is complete up through the Lockheed Martin F-35B and includes the still-borne McDonnell Douglas A-12. Eight appendices provide summaries of Unmanned Air Systems; Aviation-Related Ships; Aviation Installations; Aircraft Squadrons and Aircraft Assignments,;Aviation Unit Organization; Organizations of Expeditionary and Amphibious Operations; Aircraft Weapons and Tactics; and Aviation Designation, Terms and Abbreviations. A very useful Glossary and Index are included and in the event that the reader wishes to delve more into the subject, there is a very lengthy Bibliography. USMC Aircraft since 1913 can be ordered from McFarland's website (www.mcfarlandpub.com) or by phone (800-253-2187. It is also available as an ebook from all major ebook providers. See https://mcfarlandbooks.com/customers/how-to-buy-ebooks/ for a list. Specialty Press has formally notified me that they have zero stock and it will not be reprinted. It got pretty good reviews on Amazon. If it's anything like Scooter!, which has been out of stock at Crecy for a while now, the price for one will eventually go through the roof. Fair warning if you have been dilly-dallying about acquiring it for your library. Crecy, by the way, has expressed interest in a reprint of Scooter! if there is enough new material to warrant it. Most of what I have on hand are error corrections and updates on the civil and contract test/training usage. I need more material on the Israel A-4s. With respect to the latter, does anyone know of a subject-matter expert? In 1956, at age 12, I lived on NAS Sangley Point in the Philippine Islands. Always enamored with airplanes, I imprinted on the Cougars, Banshees, and Skyraiders then being deployed. Not able to be a Naval Aviator because I was nearsighted, I instead became an aeronautical engineer and general aviation pilot. 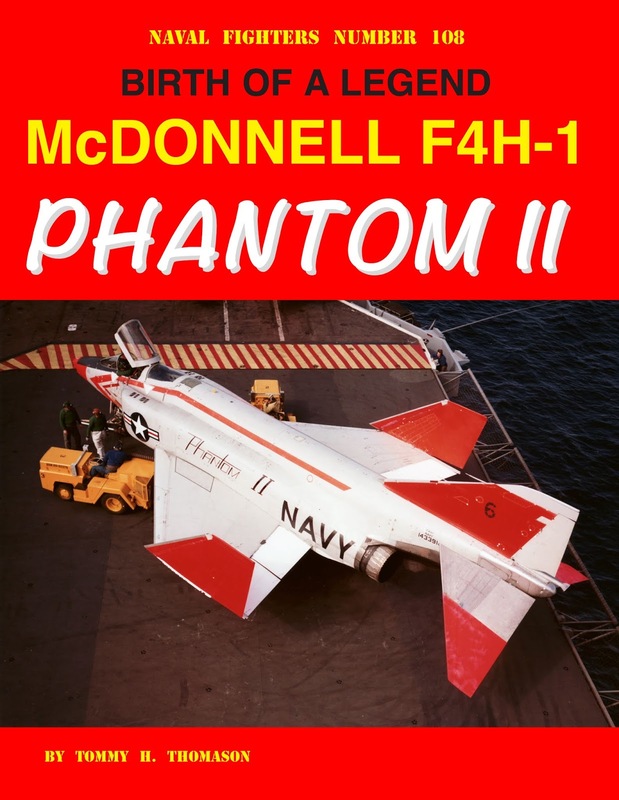 Now retired, I write books and monographs on U.S. Navy aircraft.